When I received the invite to join a group of friends to go hike the Giant’s Cup Trail, I had to search for information about it – I had never heard about it. The lack of information and photos made the experience even more special – this trail is stunning! Technical rating: Standard trail walking, with one or two rocky sections that require balance and sure footedness. Small river crossings. 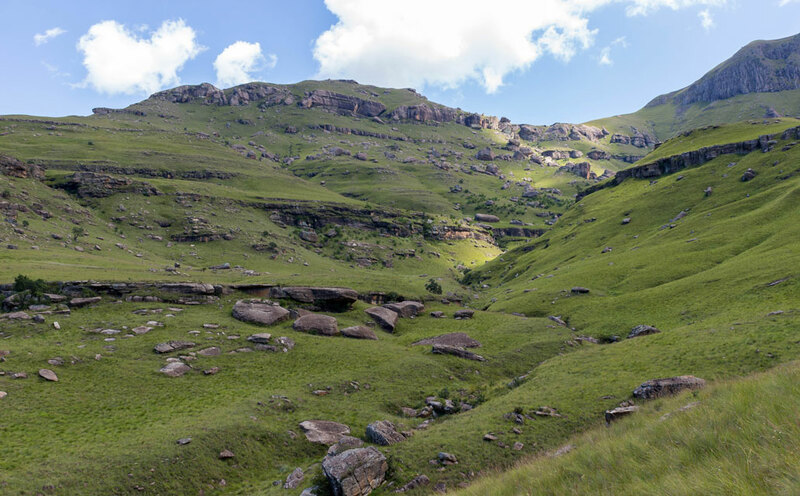 As far as I know, the Giant’s Cup Trail is the only fully “hutted” trail in the Drakensberg. 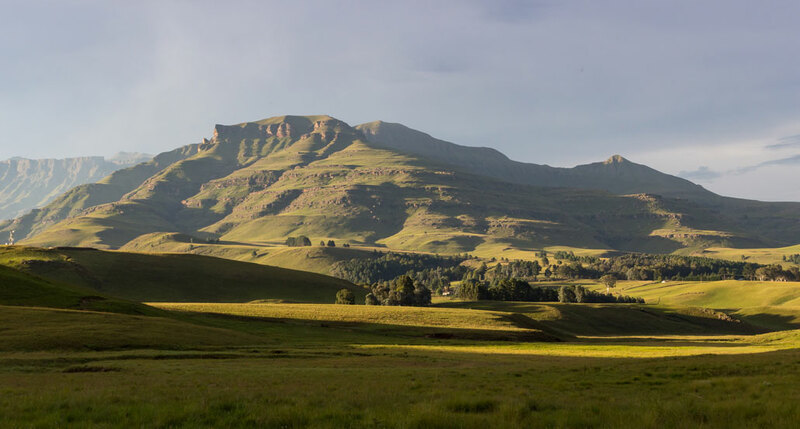 This, combined with glorious panoramic views, grassy plains, spectacular valleys with beautiful streams and pools, weathered rock formations, varied terrain and a well laid-out, well-marked trail, makes for a 5-star hiking experience. There are no overnight huts at the start of the trail, so coming from Cape Town, we spent a night in the Himeville Arms Hotel, which was functional, albeit a bit neglected. 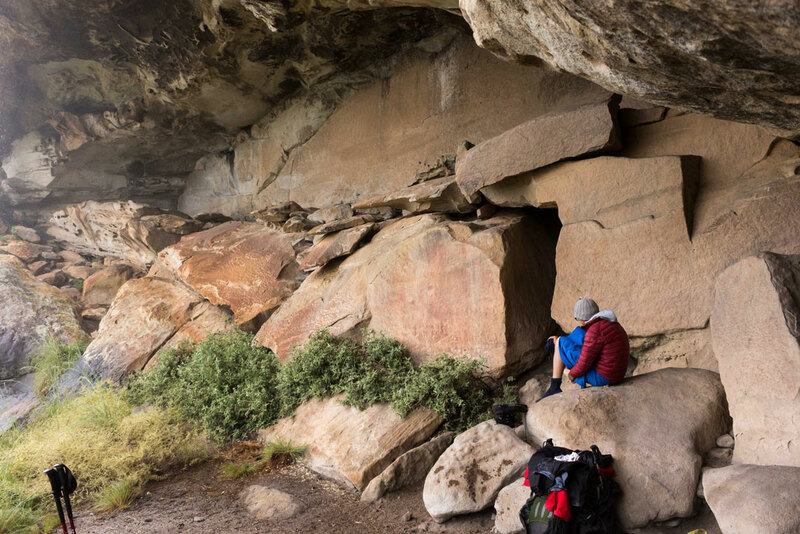 The Sani Lodge Backpackers might be a better idea. The trail is not circular, so transport needs to be arranged to get back to your vehicles. 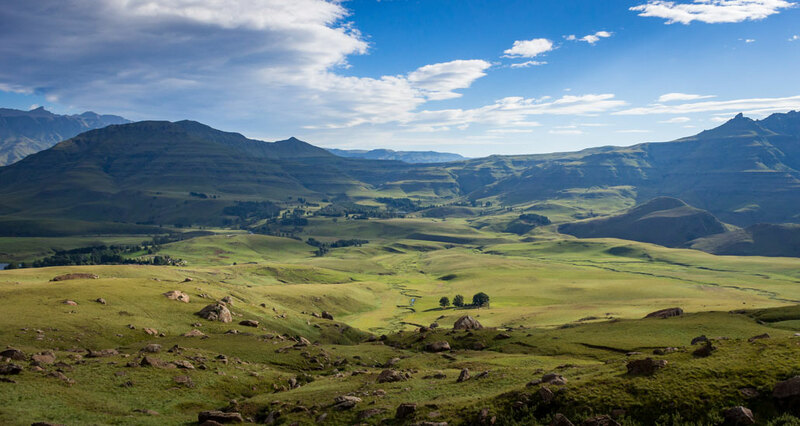 A 20-minute drive from Himeville, up the start of the Sani Pass, got us to the start of the trail. We hadn’t even begun the hike and already we were ooh-ing and ah-ing at the picturesque views. Day 1 is the longest, but not particularly challenging. 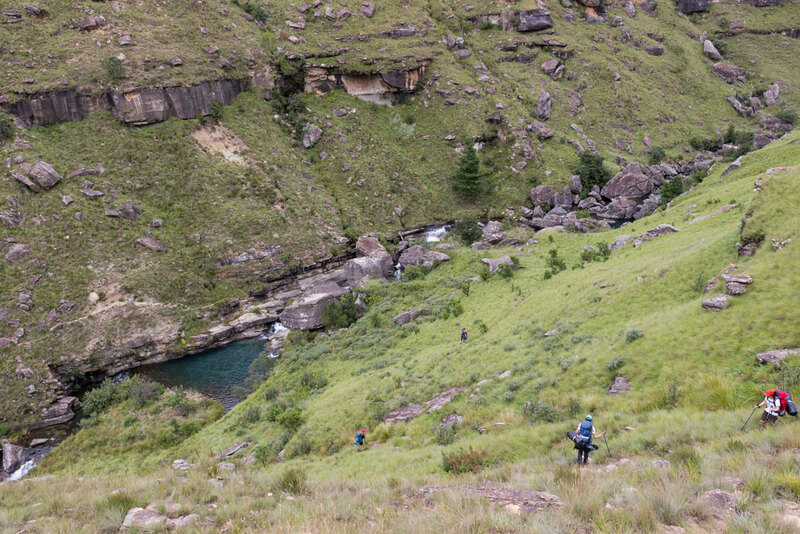 It starts with a gentle climb and then descends to Ngenwa Pool, which makes for a great lunch spot. 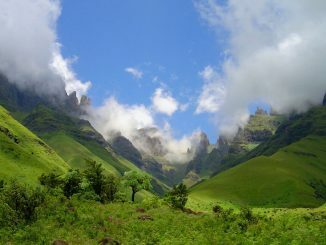 Alternatively, you can continue another 2km to a view point. The views just kept coming as we traversed from one valley to the next. Any thoughts or stresses about work completely disappeared in the wide-open landscape and breathtaking beauty. 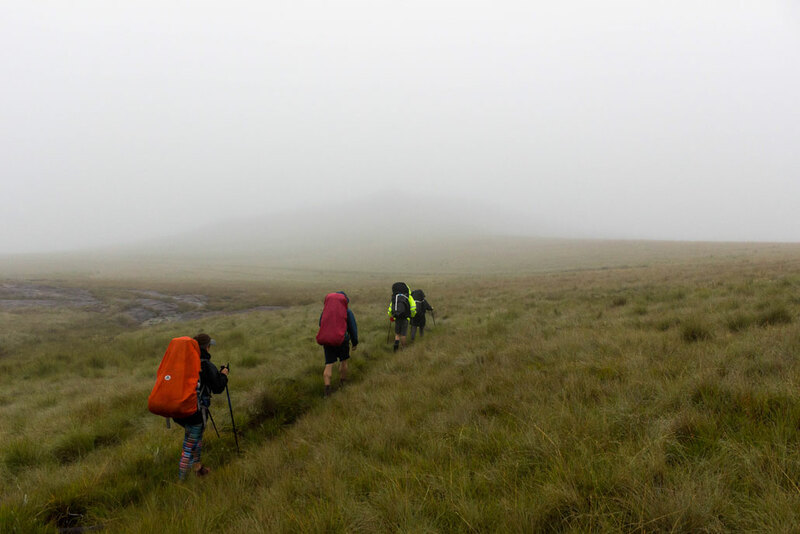 After dropping down to the Pholela Valley, we reached Pholela Hut – an old farm house with electricity and hot showers – a very pleasant surprise at the end of day 1. 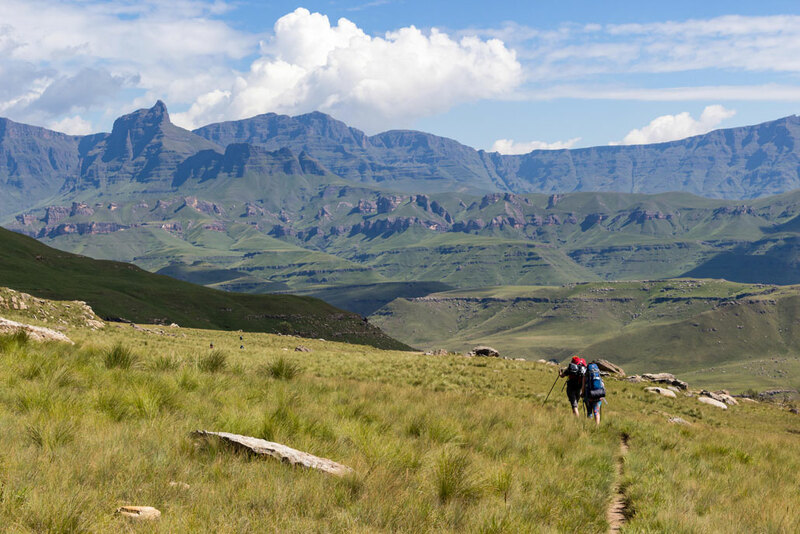 Shortly after leaving Pholela Hut, the trail ascends to a plateau – all the huts are in a valley of sorts, so each day started with a sweaty warm up, up a hill. We took a break at Tortoise Rocks and enjoyed some more magnificent views. 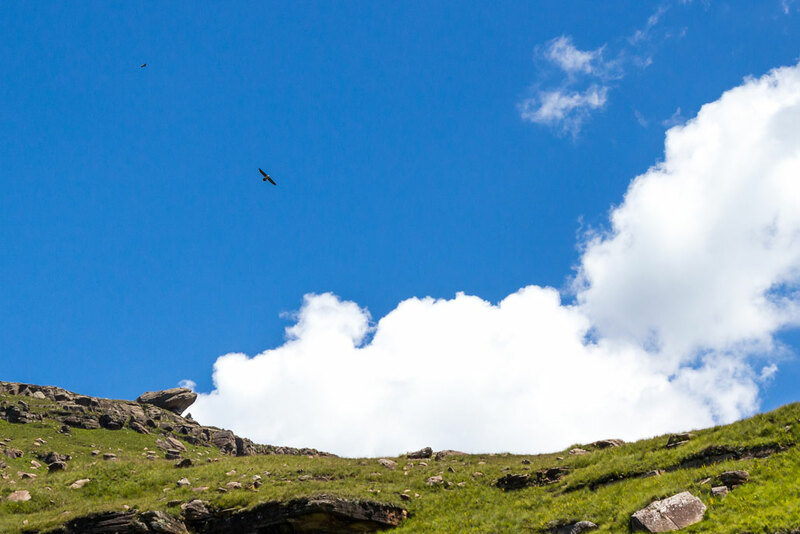 We were excited to spot a couple of Bearded Vultures gliding above us. These endangered birds stand almost a metre tall, with a staggering wingspan of over 2 metres! 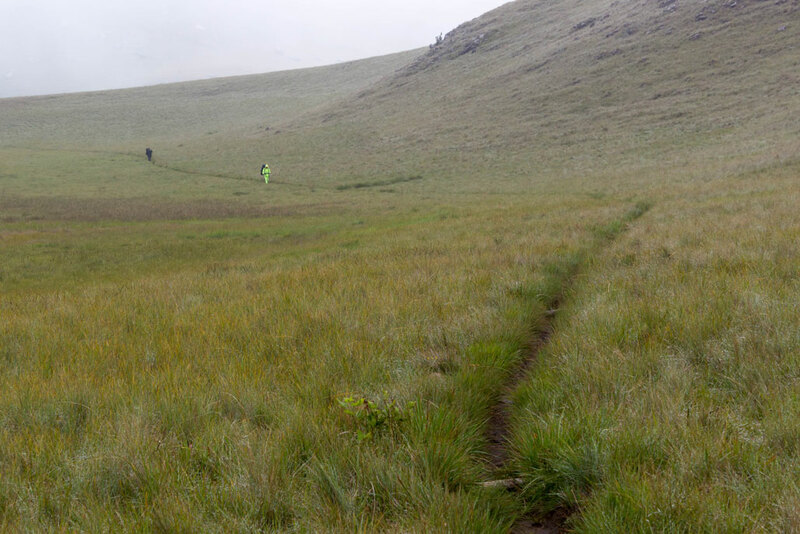 The trail then started to descend towards Mzimkhulwana Hut – the descent was, once again, breathtaking. 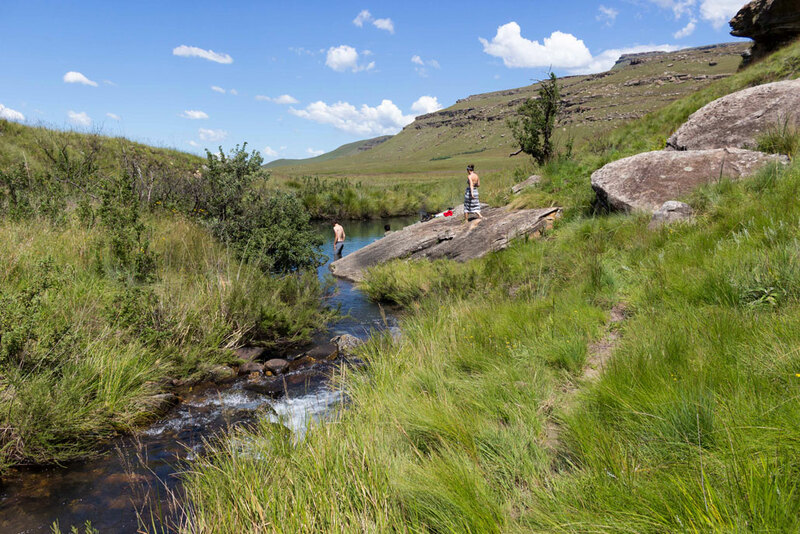 The Siphongweni River flows very close to the hut and has a lovely pool which is great for cooling down at the end of a hot day. Day 3 dawned sunny and warm, which made for a sweaty start to the day as we ascended towards the Little Bamboo Mountain. 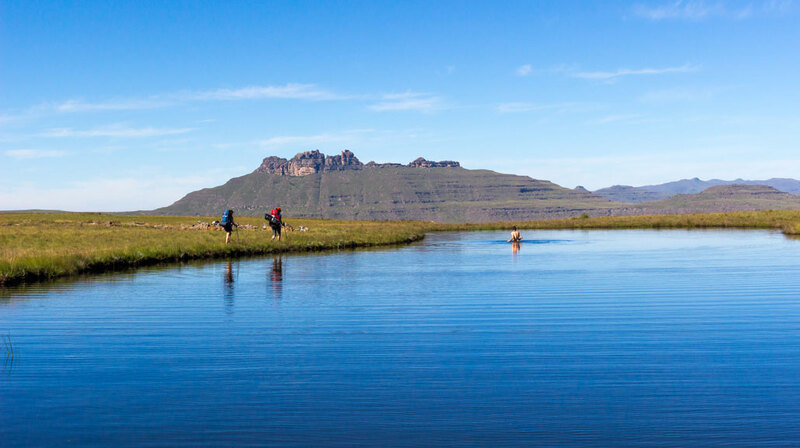 Then, as if a genie had granted a wish, we came to Crane Tarn, a beautiful mountain pool in the middle of a grassy field – the perfect spot for a coffee and a swim. The path along Killiecrankie Stream is very pretty, passing a couple of waterfalls as it descends the valley. 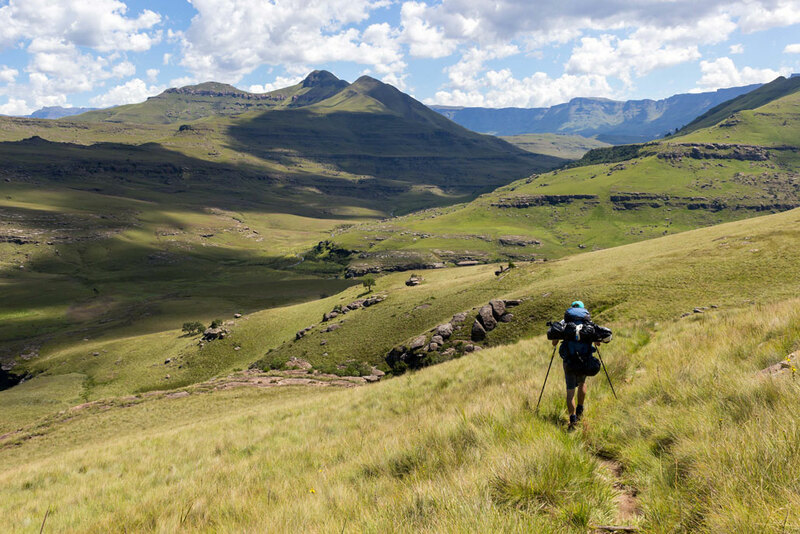 The unromantic 2km of tarred road and sudden, steep hill at the end of the day, was quickly forgotten as we made our way down towards the stunning location of the Winterhoek Hut rondawels. 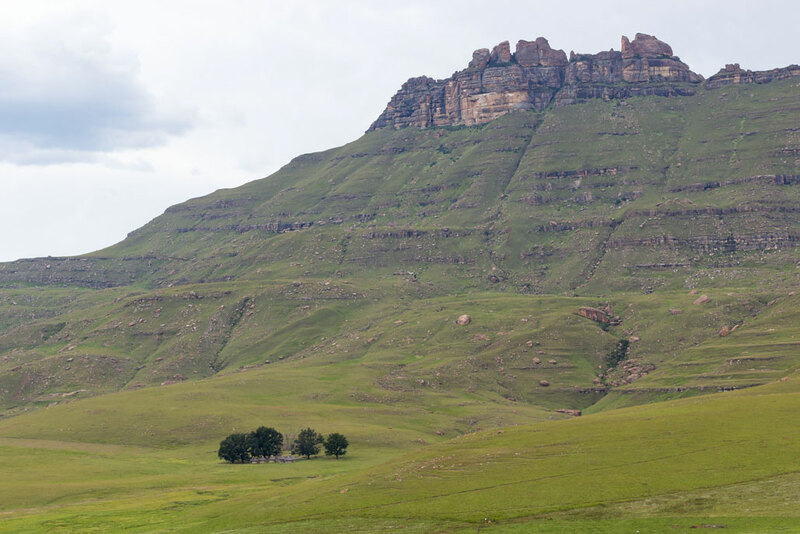 Winterhoek Hut, beautifully located beneath Garden Castle. The view from Winterhoek Hoek. We put our game faces on as we started day 4, which ascends more than 300m in the first 4km. As with the previous three days, we were rewarded with spectacular views at the top of the hill. Spectacular views from the top of Black Eagle Pass. 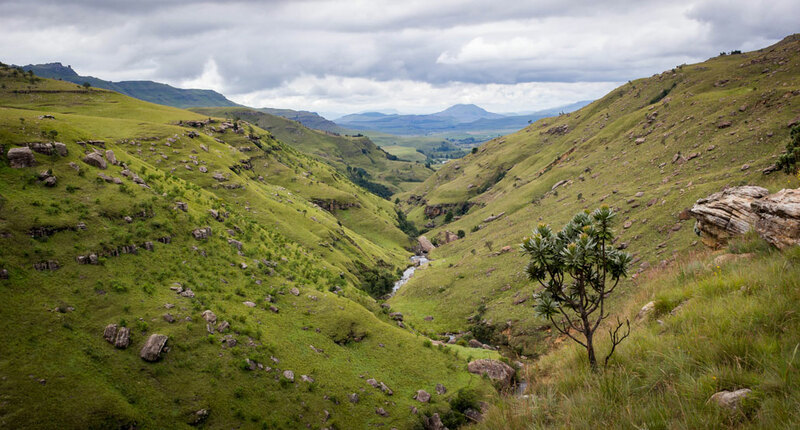 There was a clear change in flora as we headed into the Garden Castle section of the uKhahlamba Drakensberg Park, with Protea trees reminding us of the Western Cape. Heading towards Swiman Hut, we were treated to great views of the impressive Rhino Peak (3051m). 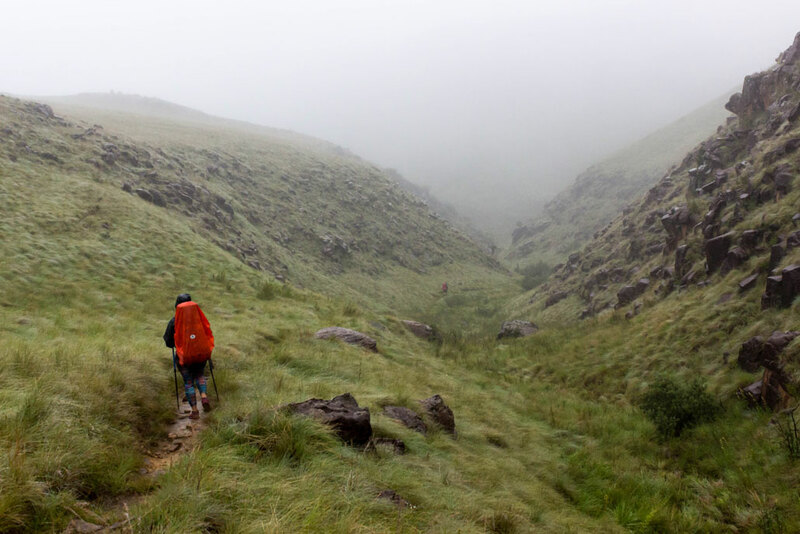 We had been very fortunate with the weather, but no multi-day hike is complete without a bit of rain. 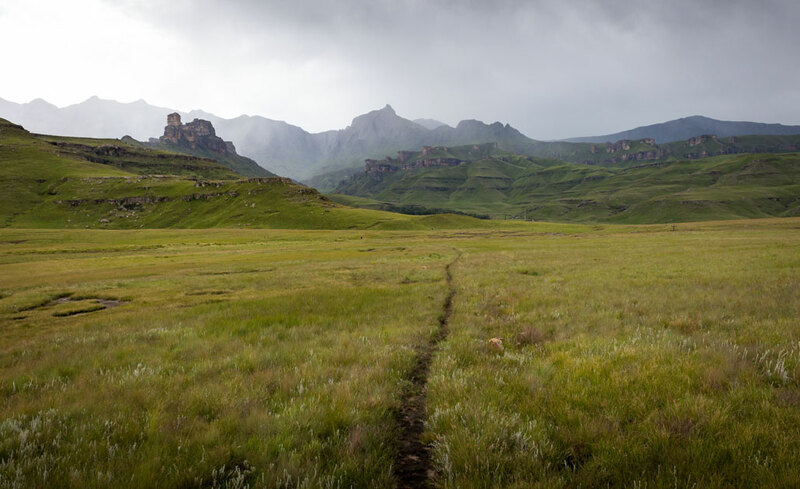 We could hear the thunder rolling in the distance and by the time we reached the flat grassland that stretches to the hut, the rain was pouring in the valley behind it. 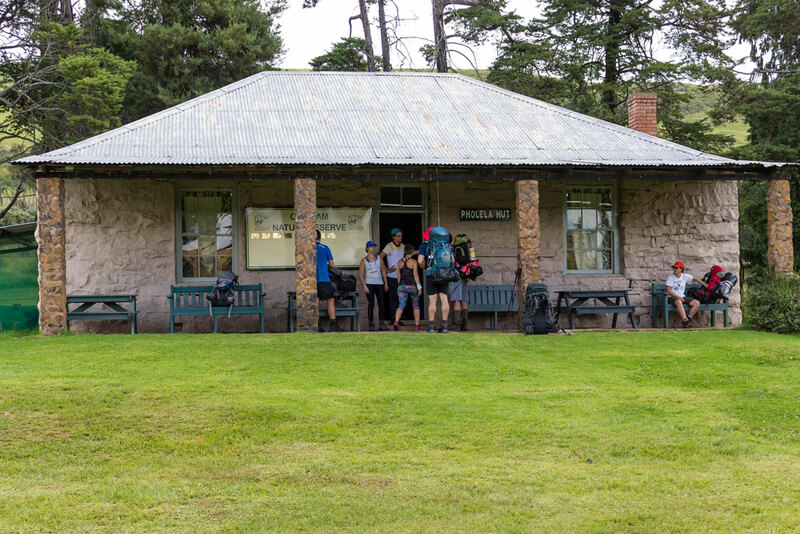 The trail brochure mentions that Swiman Hut has hot showers, as well as a shop at the ranger office. We were disappointed on both counts. From the sound of things, the electricity has not been working for quite some time and when we got the ranger office to sign the register, we were told that the shop is no longer running and that we can just sign the register in the hut. This was not a major issue at all, but a slight disappointment after getting our hopes up. We spent a lovely night by the fire as the lightning flashed outside. 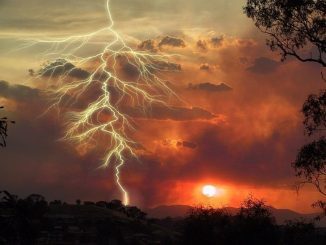 The lightning stopped, but the rain continued into day 5. We didn’t have much visibility, so we just put our heads down and kept moving. 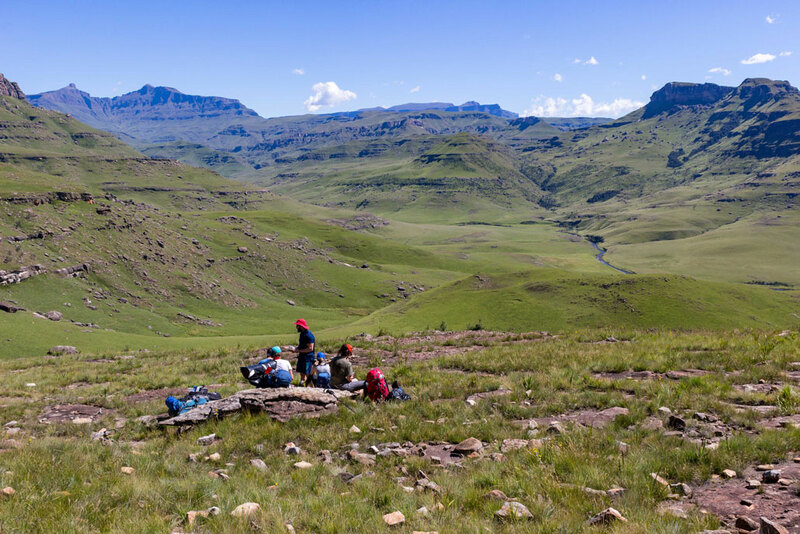 After a steady climb up to about 2100m ASL, we reached a plateau and about 1km further we reached Langalibalele Cave which offered a lovely break from the rain. After a couple of warm drinks and some snacks, we hiked the last 3km of the trail down to Bushmen’s Nek, where we had left one of our cars. The Giant’s Cup Trail, in my opinion, is right up there with the Otter Trail and deserves more attention. 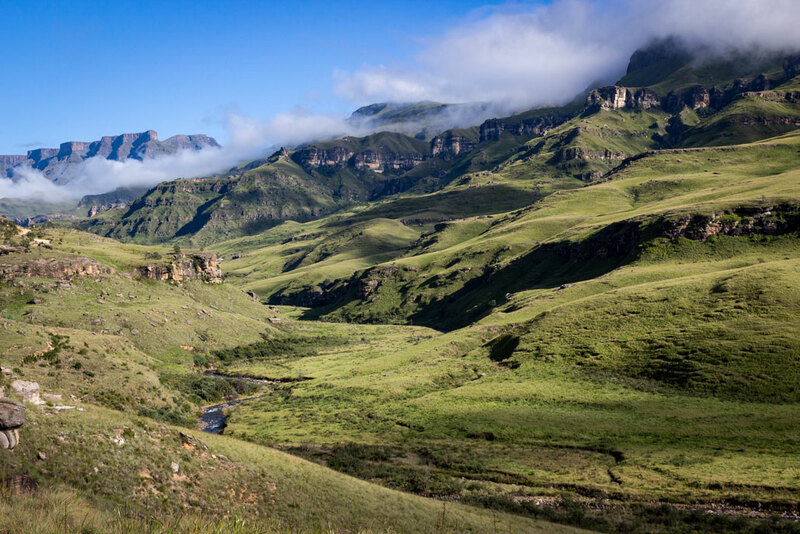 It is the perfect trail for first-time visitors to the Drakensberg and should be added to the list of “must-do” hiking trails in South Africa. For more information, consult the Giant’s Cup Trail information booklet. Download a map of the trail here. A lovely description with some excellent photographs. Couldn’t agree more, an absolutely stunning trail with awe-inspiring scenery! I just want to know how much is the trial fee and how many hikers can be allowed to hike as a group. 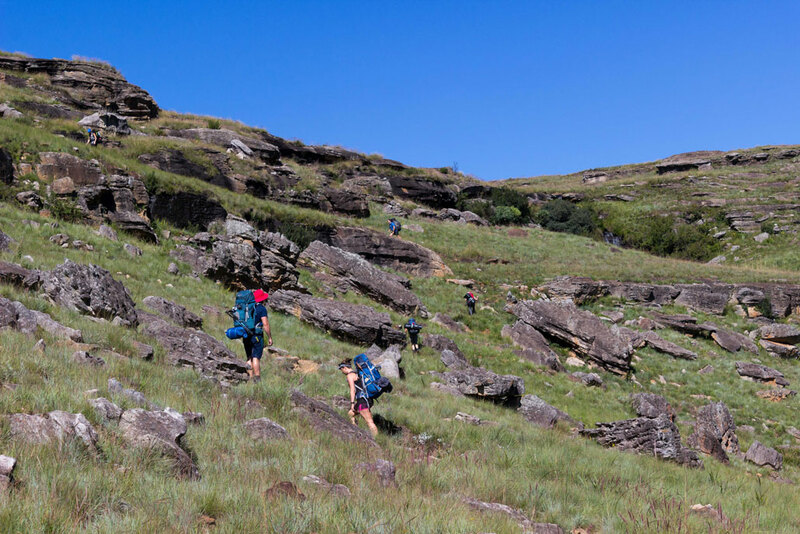 The trail costs R120 per person, per day and they allow up to 30 hiker in a group. We’ve just booked to do this hike over Easter 2019 . Our booking form says that one of the huts does not have mattresses. I phoned KZN wildlife to confirm, but they couldn’t really give me an answer other than “take everything you may need”. But carrying a mattress is a bit of extra weight – any feedback? 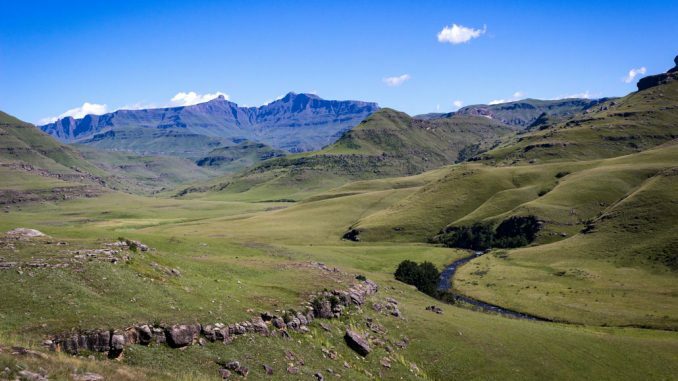 The other thing I asked is if all the huts (particularly the last one at Bushman’s Nek”) have hot water and I was told that all huts have hot water – not true it seems? Could you make any suggestions on how to get back from the finish point to the start for our vehicle? 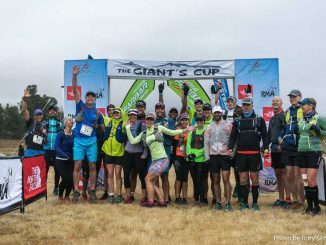 The Giants Cup Trail information booklet (link in blog above) provides details of three service providers that offer a shuttle service between start and finish. See the last page of the booklet. 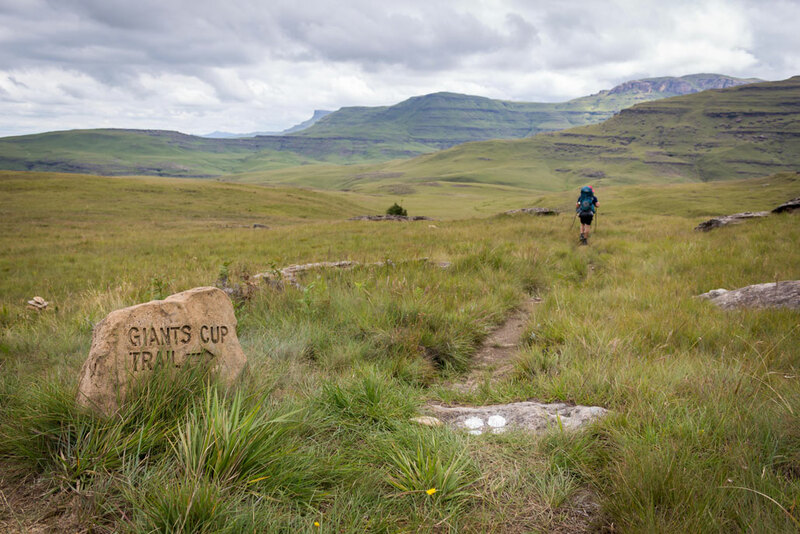 The Giants Cup Trail really is amazing! Just remember to constantly look for the white footprints! On our second day we missed our sign (the sand beneath the rock got washed away) which made us hike a extra few kilometers before we realized that we were heading the wrong way!